Hey darlings! Good news here, I have another DIY for y'all! The last one I did, Glitter Shoes, received a lot of positive feedback, so I'm really excited to see how much you'll like this one. Enjoy! 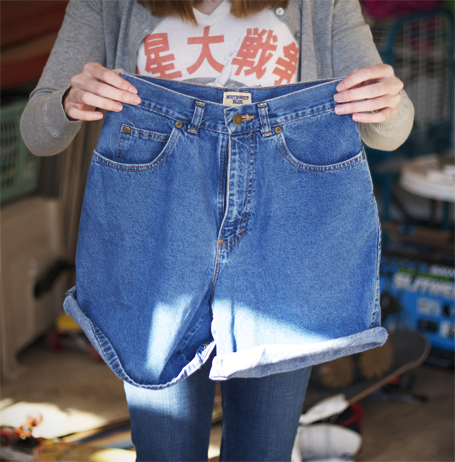 First off, here is the pair of shorts I have been drooling over for a while now..
Just a quick side note -- I went into this thinking that was a completely ridiculous price, but now after making a pair I completely understand why they would charge so much. It must have taken forever to get these frayed so wondrously! 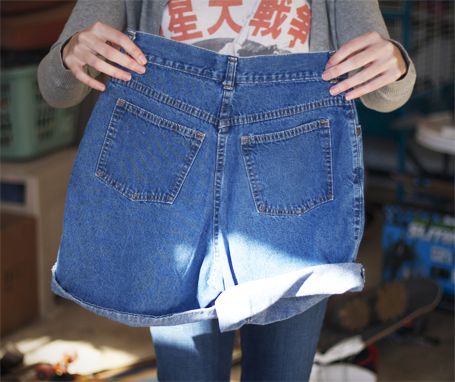 So here is what you will need to make these shorts! 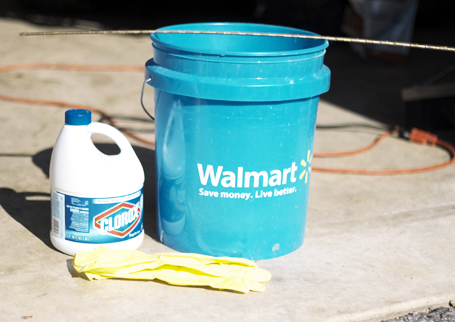 I super recommend doing the bleaching process outside because the fumes can be really harmful for you! If you're outside they dissipate quicker and don't stay around your room.. Also please wear the gloves while handling the bleach. 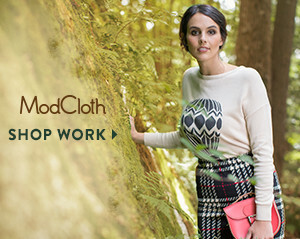 An apron is probably a good idea also. I put my stick through the belt loops to hold them up during the bleaching process. That way only half my shorts were getting bleached. I used the whole can of bleach and then poured in some water to raise the level. I didn't really measure anything, just eyed it. After letting it sit for a half hour I brought them to my laundry room. Now here comes the fun part! 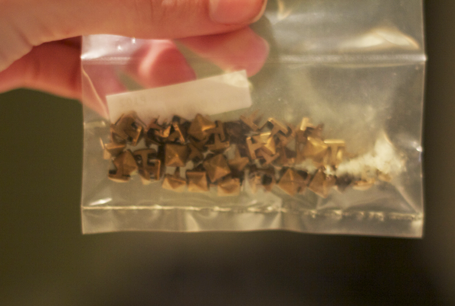 I bought 100 small pyramid studs off of Ebay, I am pretty sure they cost $5.00 with shipping. I would definitely recommend you buy bigger studs, for I didn't quite know how little these were going to be. The bigger the stud the less work you have to do! 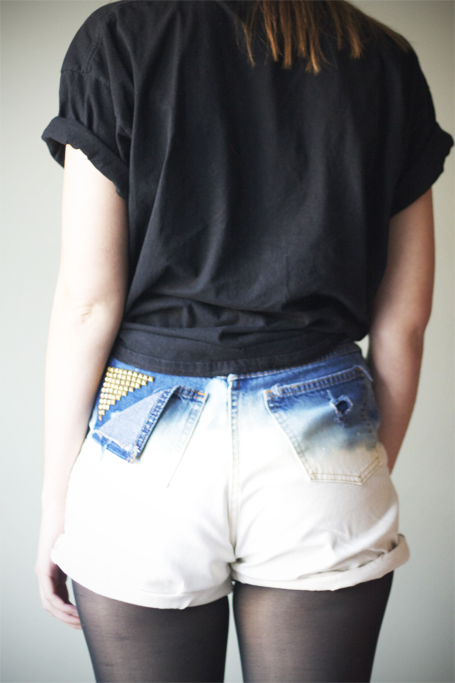 You can stud wherever you want on the shorts, I chose to do the back pocket and on the little pocket in the front. 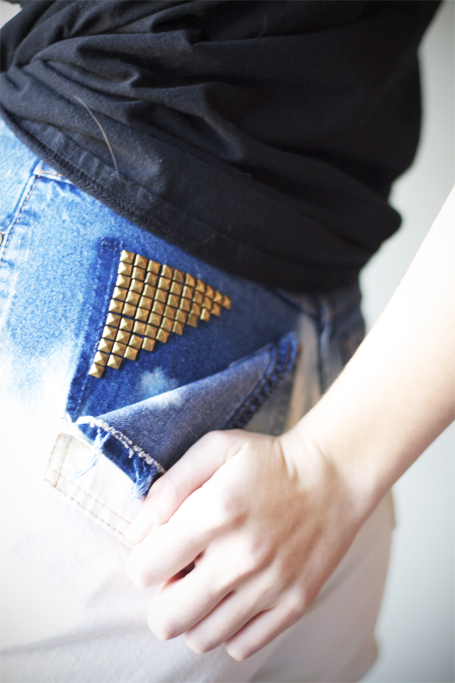 I unthreaded the left side of the pocket and pulled it down so you would be able see studs underneath. To ensure the studs on the back didn't get caught on tights or undies I hand stitched a piece of scrap fabric on the inside of the pocket. I distressed my pair a little bit by pinching the fabric and cutting a hole. Then I frayed it a bit, washed again, and voila! 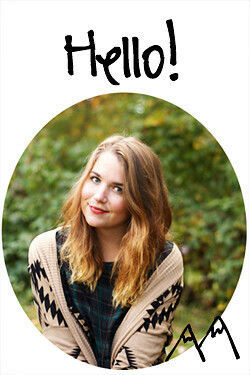 If you have any questions about this DIY, don't be afraid to shoot me an email! This is a great DIY! Like, t's actually SO cool. Your glitter shoes DIY actually inspired me to do one of my own--I made some glitter platform shoes. This is sooo cool! i really want to try and make a pair. Love DIY! 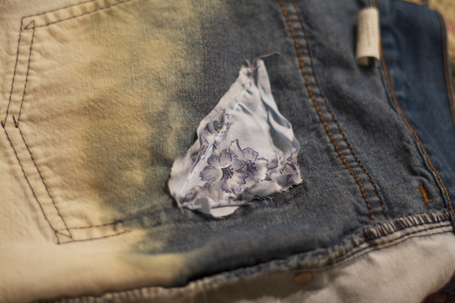 The shorts turned out wonderfully! Great blog,now following! This is one of the best DIYs I came across, ever. The thing is, so many people post tutorials like this, but their instructions always get me down...this was so clear, and such a great result too. And clever with that piece of fabric! Amazing tutorial love! I will definitely have to try this out very soon!!! 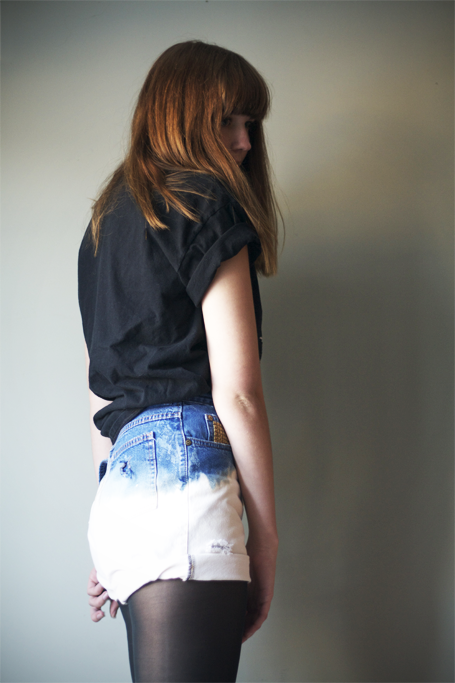 You look amazing in those high waisted shorts anyways ;). I love this! Have to try it. you made those shorths moreeeee stunning! the shoes were pretty nice, too. This is such a great idea - and they look AWESOME! omg. 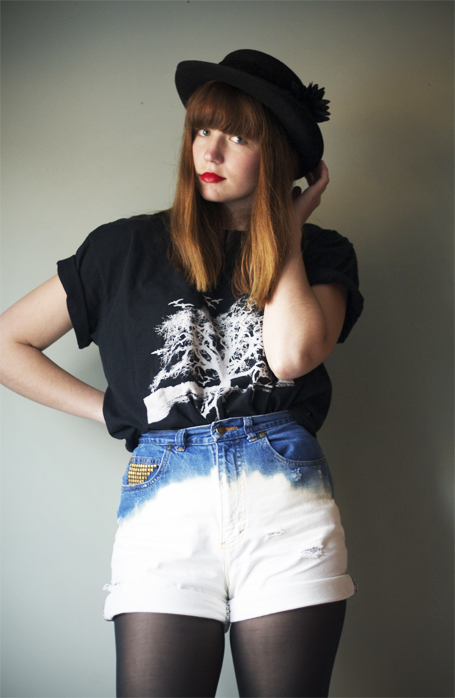 you are so amazing at DIYs. loved this. 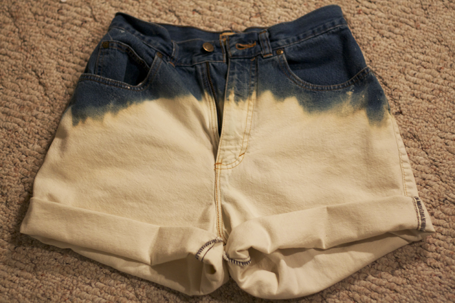 Wow you did an amazing job on these shorts! They look so cool and so do you! 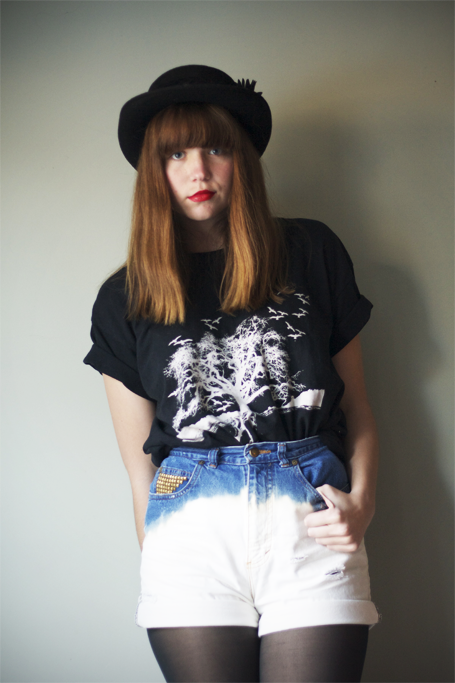 YOU ARE ABSOLUTELY FABULOUS AND SO CREATIVE, THIS IS A GREAT AND INSPIRING POST! THANKS FOR STOPPING BY, WOULD YOU LIKE TO FOLLOW EACH OTHER? I love your blogdesign! how did you create it? Really cool diy! Got to try it :D Thanks for the idea hun! These are absolutely beautiful!! I definitely want to try this.